Fiat Chrysler Automobiles Korea released the new Compass compact sport utility vehicle, eyeing a share of Korea’s expanding imported compact SUV segment, the company said Tuesday. Designed to target urban drivers, the Compass SUV stands between the Jeep Renegade compact SUV and Cherokee midsize SUV. Local drivers will first be introduced to the all-new Compass Longitude 2.4 gasoline model and all-new Compass Longitude Limited 2.4 gasoline trims. 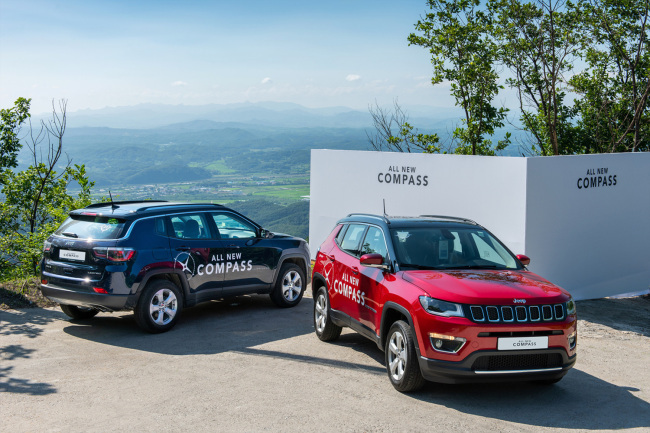 Over 260,000 units of Compass SUVs were sold in China, Brazil, India, Italy and Germany last year, the company said. According to data from Korea Automobile Importers & Distributors Association, the imported compact SUV market grew 6.1 percent on-year in the first half of this year. A total of 37,884 units were sold in the cited period compared to the same period last year.